The purpose of this article is to tell you about online MBAs, what they are and why getting one could be the right move to accelerate your business management career. We will offer you information about the various types of online MBAs, accreditations to look for, and good online MBA programs that you might consider. Most MBA programs require the student to have at least two or three years of business experience before entering the program. Executive MBA programs (EMBA) may require you to have eight to 10 years of business experience. Because most professionals who want an MBA are in full time jobs, the interest in online MBA programs has grown tremendously. Specifically, in the last decade, there has been a marked increase in online MBA programs to serve these students. For example, the AACSB found in 2015-16 that the number of online MBA programs in the US accredited by the AACSB increased from 97 in 2011 to 140. Many professionals are choosing online MBAs over traditional, campus-based MBAs because they are generally able to obtain the same education at the same price – with far more convenience. Of course, there are significant differences in how the MBA program material is delivered. Campus programs have in person lectures, face to face assignments and group discussions. In online programs, technology puts people in touch with each other. Students commonly use the Internet to watch their taped classes, or to participate in a live class discussion. Most homework and tests are also completed and turned in online. Should You Choose an Online MBA Program? As noted above, the main advantage of an online MBA program is that you can get your graduate degree while still working full time. Also, you do not need to relocate to go to college. There also are challenges in getting an online MBA. Some students seem to learn more effectively if they attend lectures and interact personally with other students and professors. Taking an online MBA program requires substantial time management skill and discipline. Review accreditation: The best way to ensure that your online MBA is viewed favorably is to confirm that the program has been accredited by the Association to Advance Collegiate Schools of Business, or AACSB International. There is no chance that an AACSB-accredited MBA program has come from a ‘degree mill’. Curriculum: check the curriculum of the program. You should see a standard set of core MBA classes that usually include statistics, accounting, finance, marketing, law and ethics, and supply chain management. How the courses are delivered: When you take an online MBA program, you need to be entirely comfortable with how the classes are taught and delivered electronically. Also, are the classes taught at fixed times, or can you take your classes when you like? You will want to have maximum flexibility if you have a busy personal and professional life. Career help: Good universities offer excellent career placement services, and you should get the same type of help in your online degree program. Professor support: Do you get academic support from your instructors and other staff? Why Earn an Online MBA? Generally, statistics show that earning an MBA will result in a higher paycheck immediately after graduation, and several years later. Forbes states that its post-MBA studies have found a 56% increase in starting pay for part time MBA graduates. It also found that fifth year, post-MBA pay went up 80% for most students it surveyed. But there are other reasons to earn an MBA that you may not of thought of. Consider these benefits of earning your online MBA, according to Forbes, and keep them in mind as you review online MBA program options. 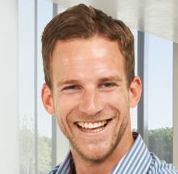 Does it sound like the program will provide you with these types of fringe benefits? If you are not sure, make sure you get access to students who graduated from the program a few years ago and grill them on their experiences. Making successful and powerful friends: Many experienced MBA graduates eventually rave about the connections and friendships they made in school. If you go through a tough MBA program together – whether online or in person – you will make many good friends along the journey. These friends are not just friends: Many of them will probably go on to be successful in their subspecialty. These friends and their friends could develop into vital job contacts in years down the road. You learn about the world: Even if you are an accomplished and smart professional with a good position, going through a tough business school will teach you a lot about the world and business that will benefit you immensely in future years. Learn how to work together: Virtually any good business school will have many team projects where you must get along with your team members and produce a good work product. This is tough work: You often will be teamed up with many type A personalities who think they are the best of the best. Everyone wants to be a leader, probably, but all of you have to learn how to work as a team and get the job done. Working with professors who challenge you: To be really successful, you probably will need to find some good mentors to help you along. You will probably run into several professors in your online MBA program that will really cause you to stretch and expand your business thought processes. You get chances to listen to accomplished business professionals often: Good online MBA programs will still offer you many opportunities to listen to top tier business executives who have made it. Often times, you will be able to attend these lectures in person when you attend any on campus sessions that your online MBA requires. Learn about people management. You will probably have classes in how to manage others. These classes can be called business management or leadership classes, but they all boil down to how to effectively manage and motivate vastly different people who will work under you. Make no mistake: Learning how to manage people well is absolutely critical to turbocharging your career. Hone presentation skills: Another big part of long term business management success is being able to give a good presentation in front of a large number of people. Also, it is really important to be able to answer tough questions on the fly. Good online MBA programs will give you lots of practice at this. 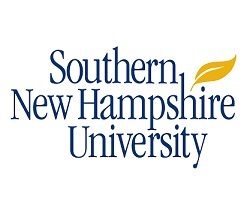 Southern New Hampshire University has an MBA program that will help you to reshape your organization, whether it is a large corporation or a small business. The business environment today requires workers who can adapt to change quickly, and to assess constraints in resources fast, providing custom solutions to complex problems quickly. This online MBA program will provide you with the knowledge and skills you need to succeed in any business career in any industry. SNHU has more than 20 concentrations; if you are working in one particular field, you will be able to choose one or more concentrations that are of most interest to you. Each concentration is usually three courses, providing you with more indepth coverage of that area, including HR, finance, accounting and much more. SNHU is part of our 2017 rankings of the most affordable online mba programs. The online MBA at the University of Illinois provides you with outstanding, curated content and experiences that you can leverage to have an immediate and future business impact in many business verticals. Many students are able to take the material that they learn in this program and use it to move into a top level leadership position in many different industries. It is known as a heavily interactive, totally online MBA program that is competitively priced at less than $22,000. Course design is career curated: All of the courses are in specialization groups. They are structured so that you receive your academic instruction in combinations that reflect how they will be used on the job. This type of course organization leads to rapid business mastery. All of the specializations that you finish in this program will culminate in a capstone project at the end of the program. Future leadership building: You will learn how to become a leader in two ways: The everyday level of getting people to work together to accomplish mission critical projects, and the higher level of coming up with a definitive vision for the future of the business. Online classes and projects that stress teamwork: The people who populate your classes are located all over the planet; the program currently has students in 15 countries. You will develop real time business perspectives that are rooted in different cultures and business industries. Highly regarded by recruiters: The Wall Street Journal states that the University of Illinois is among recruiters’ top places to recruit new corporate talent. Long term statistics show that professionals who earn their MBA will enjoy higher salaries and more robust career opportunities and development. By earning your MBA online, you will have the chance to earn a very powerful and useful degree at a reasonable price, without the need to relocate. If you do very careful research about the various programs available, you should be able to find a high quality program that allows you to fulfill your career goals.